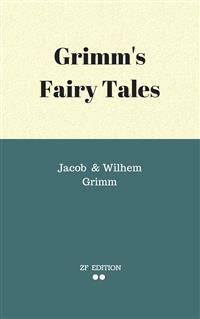 Opis ebooka Grimm's Fairy Tales - Jacob Ludwig Karl Grimm & Wilhem Karl Grimm. Children's and Household Tales (German: Kinder- und Hausmärchen) is a collection of German origin fairy tales first published in 1812 by Jacob and Wilhem Grimm, the Brothers Grimm. The collection is commonly known today as Grimms' Fairy Tales (German: Grimms Märchen). Opinie o ebooku Grimm's Fairy Tales - Jacob Ludwig Karl Grimm & Wilhem Karl Grimm.